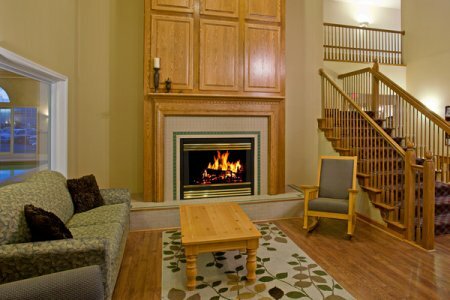 Located just off Highway 55 northwest of Minneapolis, the Country Inn & Suites® by Radisson, Buffalo, MN is only a mile from charming downtown Buffalo. Bring your whole family to see exhibitions at the nearby Buffalo Rodeo Grounds, or pack your golf clubs to enjoy a round at Wild Marsh Golf Club, less than three miles away. After a busy day of meetings at nearby companies, relax in a spacious hotel room or suite with free high-speed Internet access and HBO. In the morning, stop by our complimentary, hot breakfast to fuel a morning of shopping at the Albertville Premium Outlets. Please note: Our hotel is under renovation until Spring 2019. Don’t skip our free, hot breakfast, where you can drizzle a Belgian waffle with warm syrup and pair it with fresh fruit or scrambled eggs. While you enjoy a second cup of coffee, catch up on the news with a free weekday USA TODAY® newspaper. When you have an appetite for lunch or dinner, try Rancho Grande, just next door, or hop in the car for nearby restaurants like Mill Creek Inn. Buffalo Rock Winery – About six miles to the south, this family-owned winery offers tastings of red, white, rosé and port-style wines made on site. Stop by to learn more about the vineyard’s cold-climate grapes and the owner’s journey to becoming a vintner. Nearby Lakes – Swim, ski, boat or fish at some of Minnesota’s famous “10,000 Lakes.” Buffalo Lake and Lake Pulaski are both near our hotel. Wild Marsh Golf Club – Recognized by the Minneapolis/St. Paul Business Journal as “one of the top 25 courses in the Twin Cities,” this beautiful course is less than 10 minutes south of the hotel. Traveling with a tour group or a sports team? 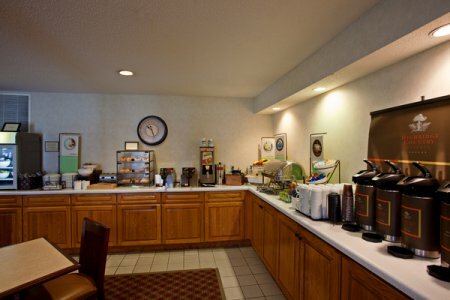 Let the friendly, knowledgeable staff at the Country Inn & Suites, Buffalo take care of every detail for a stress-free stay. Our hotel offers excellent on-site amenities like a free, hot breakfast, free Wi-Fi and an indoor pool to make group stays more enjoyable. If you are planning an event, we are glad to assist you in finding a venue. Learn more about bookings for groups. Sunday - Thursday, 6:00 p.m.